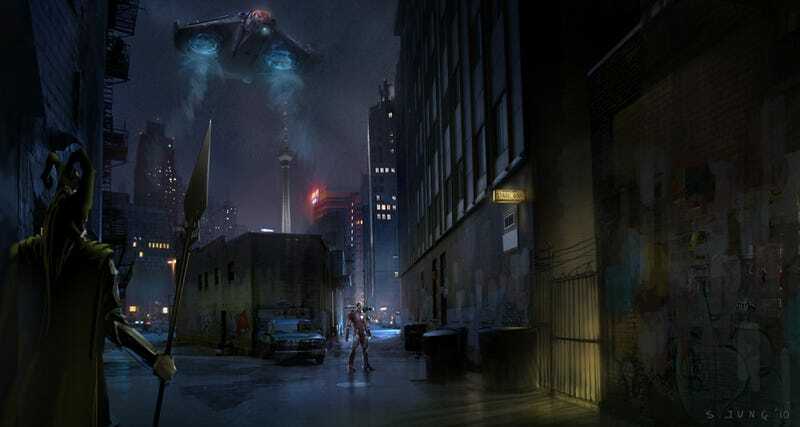 You still haven't seen all the best Avengers and Thor concept art! The Avengers featured a ton of brilliant visuals, as befitting a movie that combined some of Marvel's greatest heroes. And after it came out, we saw some lovely concept art and heard from the VFX creators and designers. But you haven't seen all the greatest concept art yet. Artist Steve Jung, whose helicarrier designs we've admired before, sent some of his previously unseen concept art from Avengers and Thor, plus two other movies, to Comic Book Movie. Some of our favorite images are below. Check out the rest over at CBM.